http://newiprogressive.com/images/stories/S5/child-hunger-s5.jpg GOP House Farm Bill will deny food assistance to more than 23,000 children around the state, including over 4,100 living right here in Brown, Oconto, Marinette, Kewaunee and Door counties. 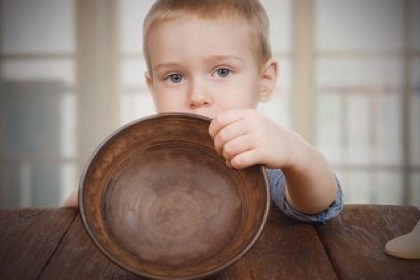 MADISON - In what should be no surprise, after having slashed taxes for corporations and the nation’s richest millionaires and billionaires, House Republicans are now proposing to cut critical programs that provide food to thousands of children in Wisconsin. All told under the GOP House plan over 23,000 children will be denied food assistance as a result of cuts to programs that provide food to needy and struggling families. Many of the children who will be hardest hit live in rural communities around the state including Northeast Wisconsin. Preventing child hunger used to be one of the cornerstones of the nation’s safety net. But with more and more extreme Republicans taking control of Congress and the state legislature, programs that provide much-needed assistance to children of struggling families are now on the chopping block. A new report from the non-partisan Legislative Fiscal Bureau said the GOP’s 2018 Farm Bill will limit who is eligible to receive food assistance resulting in 23,369 Wisconsin children losing access to FoodShare assistance and free or reduced school lunches. Included in that number are over 4,100 children living in Brown, Oconto, Marinette, Kewaunee and Door counties.